Prior to May-2017, Tanzania owned a Railway network built more than 115 years ago by Germany and later British, along central corridor having Meter Gauge standards. 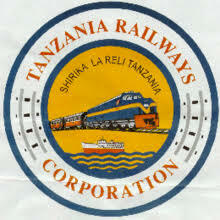 The Government of Tanzania through TRC is has lunched development of SGR network whereby as of to date, Feasibility Studies are completed to cover more than 4,880 routekm of SGR network in the Country, distributed in three corridors namely Central corridor which runs from Dar Port via Dodoma and Tabora to North and West parts of Tanzania reaches borders with land locked Countries of Uganda, Rwanda, Burundi, DRC and Zambia; Southern Corridor of Mtwara to Amelia Bay, within Mbamba Bay areas, with spurs to Mchuchuma and Liganga in Njombe and Songea Regions and the North 10 Tanzania corridor starts at Port in Tanga town, traversing via Moshi and Arusha to Musoma port linking Central corridor at Shinyanga town. Implementation of SGR project has started with Phase-1 of Dar-Mwanza having 1,219 route-km along the central corridor, which is organized in 5 Lots. Construction of SGR in Tanzania commenced in May-2017 using Design & Build Contracts. Currently Construction is ongoing for the first 2-lots of Dar to Morogoro (205 route-km) and Morogoro to Makutupora –Singida (336 route-km). The SGR system under construction includes Civil Engineering structures, Signaling & Telecommunication facilities, Electrification Systems, Electro-Mechanical engineering Equipment and Machineries. The Operations & Maintenance of these infrastructure, equipment and system will need latest equipment and processes that will be mainly utilizing ICT to minimize manual working and enhance e-working. The will lay down a very good employment environment for young qualified Tanzanian candidates to start participating from this very initial stages of the program implementation which is valued at more than USD 3.35 billion, which at current exchange rate (Nov-2018) is equivalent to TZS 7.01 trillion for only the 542 route-km. Which implies that as Government progress with execution of other phases/Lots to finish the entire SGR network of 4,880 route-km, employments to these candidates will obviously be guaranteed as construction, will take years to come. In these regards engagement of qualified workforce is needed to take part first at “Testing & Commissioning” and second at later stage of “Operations & Maintenance” of SGR systems. (vi) Administer preventive maintenance schedules for all electrical plants. (viii) Performs any other related duties as assigned by supervisor. Bachelor Degree in Electrical Engineering or equivalent from recognized University or Institution and registration by Engineers Registration Board as Professional Engineer with working experience of at least three (3) years in related field. Knowledge or exposure to railway operation would be an added advantage. An applicant should possess strong analytical skills and computer literacy. (vi) Carry out any other duties as assigned by supervisor.